Business Ideas for Beginners – Do you want to enter in the world of business for the first time? If yes, here is 20 Business Ideas for Beginners in India. Starting a business is very challenging for beginners. Beginners are not aware of legal, commercial, managerial and other aspects of the business. They always seek guidance from experts for a starting business. Starting off business with low investment protects the beginners from major monetary risks. Here are 20 Top Best business ideas for beginners in India. These business ideas are easy to start and require low investment. A small digital marketing or advertisement agency requires a small setup and less investment. You can start it from home also. The main work of advertising agency is to create, plan and handle advertisement and promotional requirement of client. Agency needs to arrange placement for the advertisement on a commission basis. Advertisement agency is one of the best business ideas for the beginners in India. Courier or Delivery service is next business idea for the beginners. The task of courier company is to deliver things on time at the different destination. This business idea requires investment in a range of 1 Lakh to 5 Lakh. You can tie up with reputed courier company to start with. Home cleaning is considered as one of the easy business ideas for the beginner. In this business idea, you need to take a contract of house cleaning and arrange manpower for the same. This idea requires a skill for people management. Blogging is part time easy to implement low investment business idea for the beginner. You just need to have technical knowledge and skill to express yourself. You can earn a lot of money by direct advertisement from your blog. If you are good at taking photographs this business could for you. You just need a good camera and few contacts in order to start this business. A success of this business depends on your capability and creativity to deliver the desired result. Tuition class is next business idea for the beginners. This business can be started from home with minimum or no investment. You should be very good at teaching and learning in order to start your own tuition class. A freelancer is a person that bids for the project and complete it within given timeline for money. Freelancer usually accepts project related to Information technology and work online. They get work from a various site offering freelance work. The next business idea for the beginners is child care services. In a metro city, this types of services are always in demand. You need proper place and toys in order to start this business. It is one of the best business ideas for the beginners. You can also start a business that offers various errand services like paying a bill, picking up dry cleaning or groceries etc. In today’s busy life people need manpower for these type of errand services. Your hobby can turn out to be a good business option for you. You can think of starting your own hobby class. You might need to recruit people from a different area like stitching, drawing, sports etc. before starting this business. Affiliate marketing is an online business idea for the beginners. This idea does not require much investment. In this idea, you need to become an affiliate partner of an online company like flipkart, amazon and help them to sell their product. You will get commission based on the sale of products. If you are from IT background and creative in nature youtube channel partner business could be for you. In this business, you need to make your youtube channel and upload an original video on that. You will be paid for advertisement as per channel partner program. The next business idea for the beginner is translation services. If you know multiple languages this business is for you. You need a small place and few clients in order to start this business. If you’re trained as an accountant, you can build up your own base of business or individual customers and build your own accounting business. Event planning & management is next business idea. If you have some strong organizational and communication skills, you can build up a client base and start a business planning weddings or various other events. The next business idea for the beginner is real estate agency. In order to start this business, you need contact detail of prospective buyer and seller. It is low investment business can be started from home. Recruitment service is next business idea. In this business, you need to help the job seeker to find out a job. As a commission job seeker will pay one-month salary or predefined fees. You can become a certified yoga teacher and start your own Yoga Center. In today’s stressful life people are ready to pay money for health and relaxation. Providing food and Catering services is another business idea for the beginner. You need to be good at planning and managing people in order to start this business. This business requires capital investment in the range of 1 Lakh to 10 Lakh. If you are good at cooking food you can start your own home made food business. This can be either tiffin service or snacks. You can either deliver it at customer door step or can open your own home made food center. Well, before selecting best business ideas from above, you should answer following questions that will help you in the selection of best business ideas. What is your level of readiness? The first thing you need to check is a type of business and level of readiness to execute the idea. Consider following key aspects to check your readiness. How much capital do you have? The second thing is how much capital do you have for investment and how much you can arrange? This will help in backing up your business idea. If business idea selected by you require more capital and you don’t have provision for capital you either need to arrange capital or select another idea. How strong is your business team? The competence of your team will also matter to the success of the business. It is easy to raise the capital if your team has experience and skills. If you don’t have a team you need to select an appropriate business idea that does not require manpower. 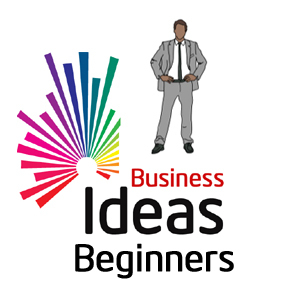 I hope the information given above on 20 business ideas for the beginners will help you in the selection of right business idea. « Paytm Digital Gold – How to Buy Sell Digital Gold?